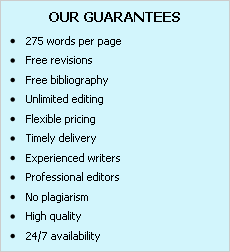 Below you will find several sample research papers written by our writers. You are free to use these samples for your own research purposes. If you are satisfied with the quality of offered samples, you are welcome to place an order at our site. Feel free to contact us for more information about our services. …In a world of nation-states, the basic difference between national and planetary interests on the one hand, and regional interests on the other, is that with the latter the definition of the interests comes first. It is they, a set of interests shared by a certain number of nations lying more or less in geographical proximity that define a region. Which interests, then, define the EU as a region?